Craving pasta? 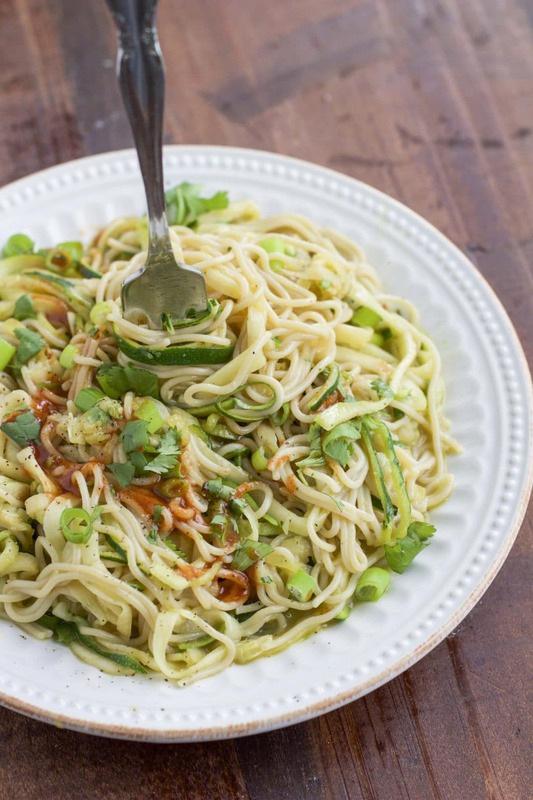 Try this healthy millet and brown rice zucchini ramen noodle bowl instead! It’s ready in less than 10 minutes so it’s perfect for a quick lunch or dinner and it’s loaded with hidden veggies! Vegan. As I type this blog post, I have “Christmas with the Kranks” playing in the background on Netflix. It’s Christmas in July, friends! I’ve also been watching all the sappy Christmas love stories on the Hallmark channel every night! As corny as they are, I just love them! Have you been watching them too? I didn’t decorate the house at all, but I did listen to some Christmas music the other day. Not gonna lie! I did contemplate making some white chocolate peppermint bread, ginger and orange cookies, or a pitcher of cranberry ginger Christmas margaritas. I decided that might be a little much so I opted for a zucchini ramen noodle bowl instead. 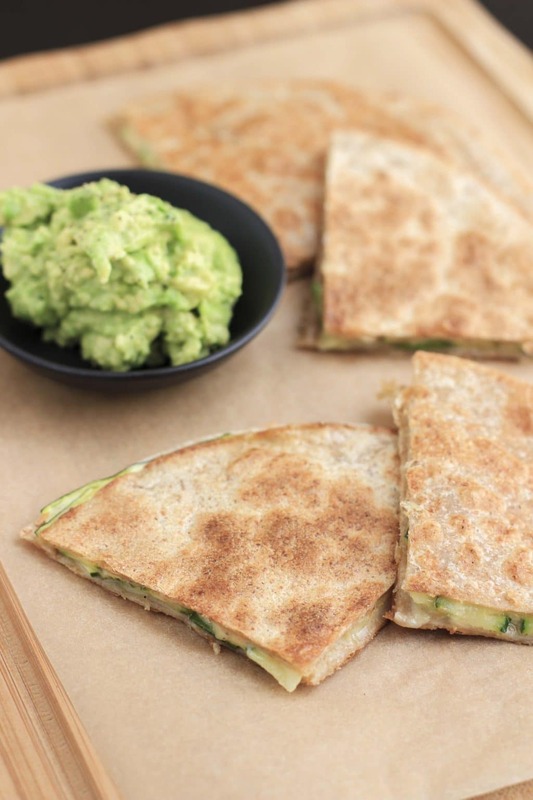 Super simple vegan zucchini quesadillas are our new favorite lunch! Thinly sliced zucchini strips, vegan cheddar cheese, and a sprinkle of cayenne pepper give this quesadilla a kick! Vegan. Zucchini are one of my all-time favorite veggies! I love spring and summer, mainly because zucchini is in season, and it’s super cheap! When they are marked $.99 lb, I stock up big time. Zucchini is so versatile, you can use them in so many different recipes….